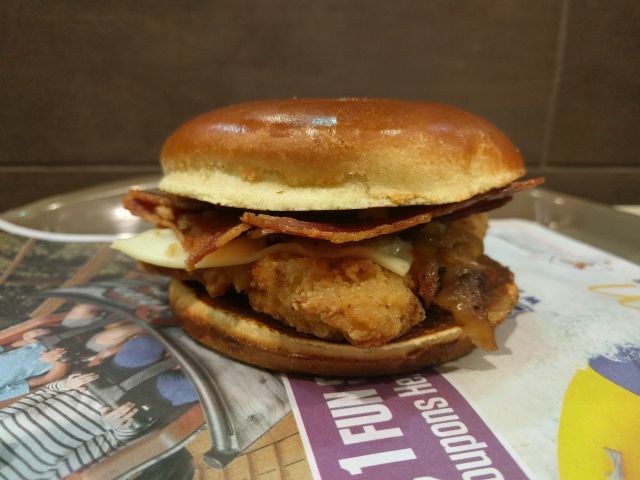 McDonald's Sweet BBQ Bacon Buttermilk Crispy Chicken Sandwich features sweet onion barbecue sauce, thick-cut applewood-smoked bacon, grilled and crispy onions, processed white cheddar cheese, and a buttermilk crispy chicken filet on an artisan roll. I paid $4.99 for one. While it's not mentioned in the name or descriptions of the sandwich, the barbecue sauce was actually pretty spicy in addition to very sweet and slightly smoky. The chicken filet was decently crispy but slightly dry and didn't offer up much in the way of flavor. Similarly, like a lot of fast food cheese, the lone slice of white cheddar contributed a creamy but otherwise undistinguished note. While the sauce does much of the heavy lifting, the crispy onions add a slight crunch and the grilled onions add a bit of sweetness and the requisite onion flavor. 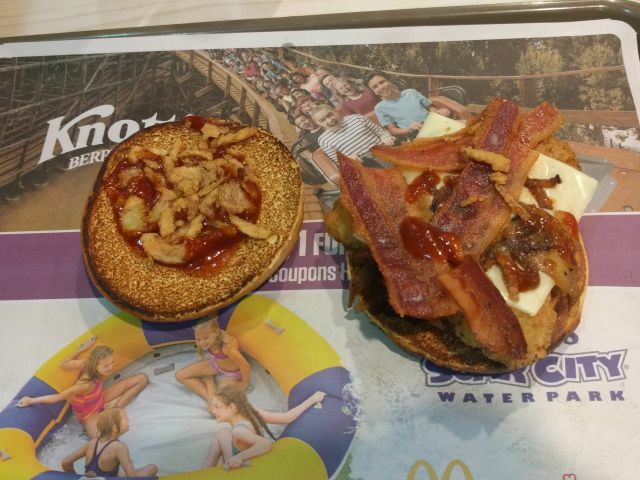 The bacon chimed in with a light smokiness and crispiness. The bun was soft with a touch of sweetness but was also a bit too resilient. Rather than cradling the other ingredients, it conspired to push them out with every bite. Still, it felt more "premium" than the familiar sesame seed bun. 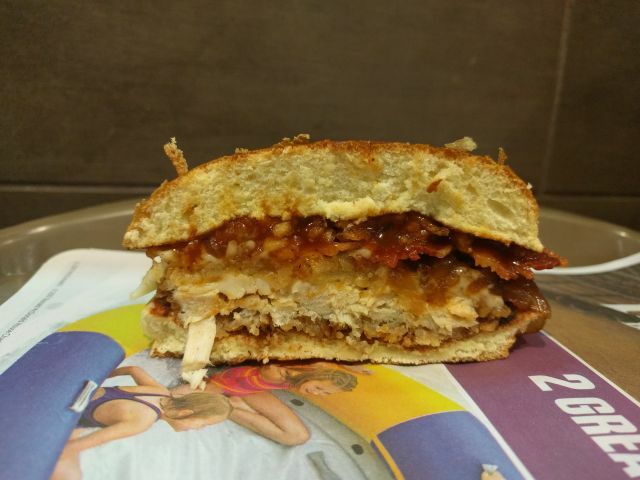 Overall, I liked the general flavor of McDonald's Sweet BBQ Bacon Buttermilk Crispy Chicken Sandwich. The sauce was tasty and I enjoyed the unexpected heat. While none of the components were super crunchy, the combined effect of several lightly crispy ingredients was still quite enjoyable.